Gasification plants are globally employed for energy production. Through a process that occurs at extremely high temperatures, the gasifiers of Isab Energy convert the “tar”, oil processing waste, into a synthesis gas, “syngas”, which is reused as fuel for producing electric energy. Thus this process allows the production of energy making use of a byproduct, which otherwise would not be used. The critical temperatures reached during this process must be kept under control in order to ensure the stability and the safety of the plant. IMC Service, specialized in the thermography field, has designed a system for the continuous monitoring of gasifiers skin temperature, thanks to specific instrumentation managed by the system of centralized control IR-SyM-TD. IMC Service has customized its control module IR-SyM-TD and adapted it to the customer’s needs, allowing the simultaneous management of 24 thermocameras, thus identifying FLIR products as the most suitable for working 24h/7d in a critical industrial environment. IR-SyM-TD performs a continuous and accurate control of skin temperature; the system has been configured to automatically respond to excess of heat, by reporting alarms that are set with different times of response depending on the heating curve. The application provides a complete overview of acquired data: the graph of temperature changes, real-time updated thermograms and temperature history in radiometric format and in absolute value. IR-SyM allows to customize the time of data storing depending on the hardware; the system stores thermograms at a rate of 60 seconds in absence of alarms, while it is of 5 seconds in case of exceeded alarm treshold and consequent alert sent to the DCS and to the other configured channels. Moreover, the software allows to mask disturbing or irrelevant areas, in order to bound the measurement to the relevant zone. The system management interface is accessible by the local network or remotely via VPN and does not require the installation of any software, thus allowing the technicians to monitor the process at any time and from any enabled station. Also the configuration of the system and of thermocameras is performed through web interface. The plant has been designed to be installed in hazardous areas with potentially explosive atmospheres, therefore for safety purposes the whole equipment has been designed with the proper Ex certification. 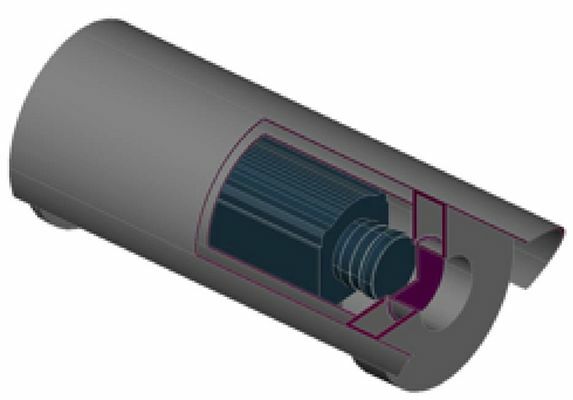 In order to prevent any damage to the instrumentation, since in proximity of the gasifier during the summer season the temperature exceeds 60°C, it was necessary to design a cooling system for thermocameras enclosures, which ensures their correct operation even in critical environmental conditions. Thanks to thermographic control, unlike the solutions provided by thermocouples, it is possible to punctually monitor wide surface areas, allowing the geometric identification of overheating and more precise and immediate evaluation and planning of maintenance activities that have to be performed. All inclusive Plug & Play solution for your Infrared monitoring needs. Historical data download, available in radiometric format and in temperature data array. Full frame analysis, including masking, spot, box and line tools. Web data analysis and radiometric export capability. 15 day data storage. IP66 plastic or steel case. Compatible with A35 - A65 - A300 - A600 Flir Systems thermal camera.